I have many fond memories from when I was younger of having a needle and thread in my hand and sewing all things crafty. This later translated to the sewing machine where I discovered you can finish a project a whole lot faster. Sometimes this also has its disadvantages, but as a teenager my life was focused on instantaneous achievements and my mother’s Pfaff sewing machine had it all! I then started my journey at TAFE studying fashion trading, textiles and garment construction and that was it, I was hooked. In a turn of events, I channelled all the skills I learnt into designing costumes for dance schools and doing made to measure on the side, as well as alterations for a drycleaners to keep the income frequent. That was certainly where I Iearnt to problem solve and develop patience. When I finished there, I left thinking I never wanted to see a seam ripper again! In my opinion, it can be a lot easier to construct from scratch then to redesign! It is a leisure activity and we all need an outlet to socialise, de-stress and switch off from daily life. Yes, mistakes are very common as this is how we learn. Due to the hands on nature of sewing, you quickly develop a mindset that “Ok, unpick and fix,” which develops your persistence, problem solving and above all patience. Sometimes, I really do think my machine gets an attitude when I do give it some so breathing and having a break is the best thing to do when things are getting a bit tough! You are not relying on others to make decisions. You choose the fabric, threads, trims and feel empowered that YOU are a designer of something amazing, unique and one of a kind. Your executive function skills are challenged to stretch their boundaries. The sewing project won’t get done unless YOU do it so organising time, working in steps to follow instructions, and achieving set goals is a must! Sounds to me like a great life skill to have so if you are interested, Functional Skills Focus will be running a specialised sewing program that helps support life skills in Term 3. 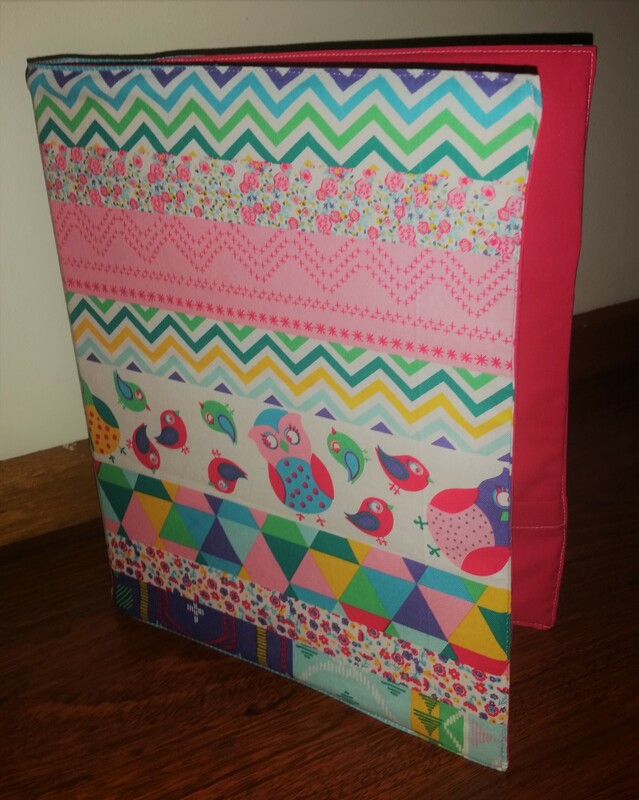 The picture in this post is one of the projects students will make – their own personal binder! I do have a range of fabrics available. Check out the Group Programs on this website for more information.